Victor is proud to serve up a performance of some of The Doors greatest compositions, with note for note performances from its acclaimed cast of musicians. Join veterans of Decades Live! and BROADWAY as they pay tribute to one of the greatest bands of all time, The Doors. 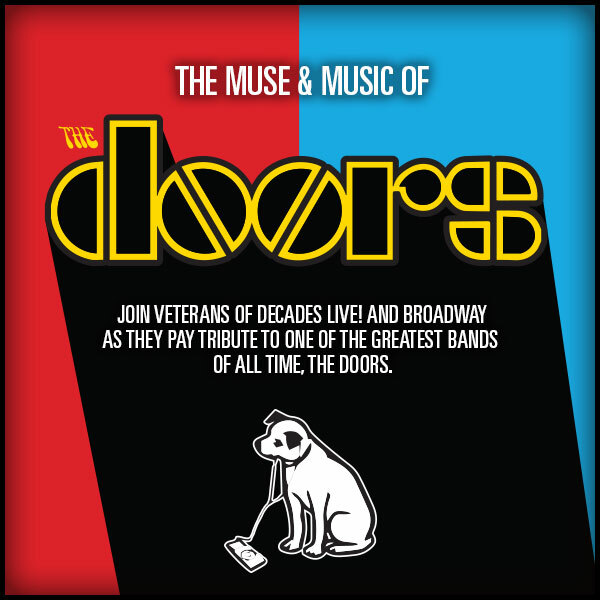 Join Graham Alexander, Zachary Harski, Keith Hohing, and friends as they tackle all eras of The Doors’ career with orchestral precision. Bring your own and witness complex songs like "Touch Me", "Light My Fire", “L.A. Woman", and "Riders On The Storm" as they are recreated in stunning detail entirely LIVE.